When it comes to living with Muscular Dystrophy a genetic muscle disorder that causes my muscle to weaken, the reality is that it has kept me from being able to pursue one of my biggest dreams. That dream was to become a professional race car driver. You see when I was a child and even in my teens I grew up around Motorsports. 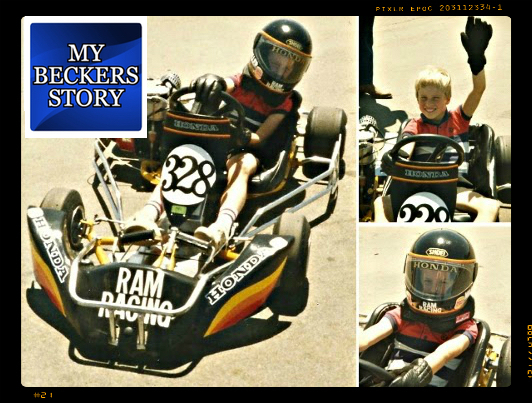 From a very young age I always dreamed about becoming a race car driver. I still remember as a child watching the Daytona 500 with my dad when they first started broadcasting the races on TV in the early 80's. 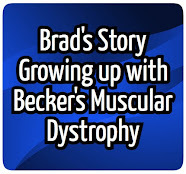 This was long before my diagnosis of Becker's Muscular Dystrophy. As I grew older and after my diagnosis it became apparent to me that racing is a very physically demanding sport to participate in. I learned this early after taking my brothers go kart (pictured above) for a quick test drive. As it resulted in leaving my right leg feeling very weak. At the time, my dad put together a race team for my brother and I joined them on many occasions travelling to race tracks across the province of Ontario. Eventually the racing stopped but my love for Motorsports remained very strong. Growing up one of my favorite racing series was the Trans Am Series and the Cart Series when they ran strictly road course and street circuit races. In my teens, I remember a time when I joined my churches youth group on a trip to an amusement park in New York known as Darien Lake. While walking through the park to my surprise mixed in with the roller coasters was a small go kart track. So, my friend's and I took advantage of this opportunity to have a little race. After a short wait the gates opened and everyone waiting rushed to the go karts at the front of the pack. Being unable to run this resulted in me ending up with the very last go kart on the starting grid. This meant I was starting dead last - so it was time to focus. At one point, during the race ahead of me I noticed my friend struggling to pass two other drivers. Next thing I know I am right on his bumper. All of a sudden, a gap opened up and like Ayrton Senna I went for it and was actually able to pass my friend and the other two drivers on the same lap. At that point, I was catching the top three but the next thing I knew our time on track was up. If only we had just a few more laps left I might have been up front challenging for the lead. Now during the race, I was so focused on driving that I didn't realize how hard I was pushing the gas pedal. Unfortunately, this left my right leg feeling very weak that for a short time I could barely walk. It was a quick reminder that my dream of becoming a race driver would never become a reality. Thankfully like most things in my life I just accepted it and move on. This meant my dream of becoming a professional race driver would now be fulfilled by playing racing games on my PS3. 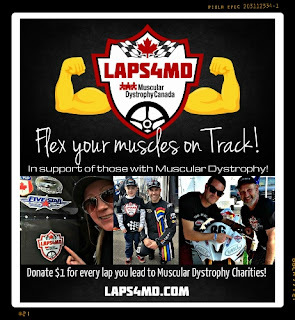 It is truly unfortunate that Muscular Dystrophy is the one thing that kept me from being able to pursue this dream, as my arms would quickly tire from all the shifting and foot work that is involved with racing. That is why it bothers me when I hear some people don't believe that racing is a physically demanding sport, as there are millions of race fans like me who would have to disagree. As I child I was very fortunate to grow up around many different forms of racing. I really enjoyed attending many races with my dad at our local race track many still refer to as Mosport. (Now known as Canadian Tire Motorsport Park.) This is where my love for racing grew along with my frustration that I would never be able to pursue my dream of becoming a professional race driver. This led to me always trying to do my best to find ways that I could be involved in racing, even if it was in a small way. 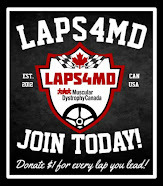 Eventually this did lead to me coming up with the idea of Laps 4 MD where race drivers donate $1 from every lap they lead benefiting those affected by Muscular Dystrophy. 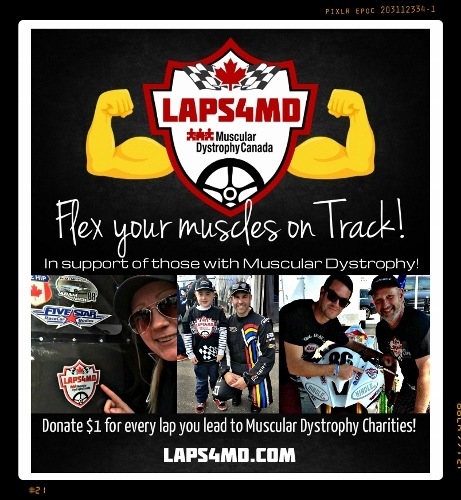 Fast forward to 2018 and now we have over 30 racers donating $1 from every lap they lead benefiting Muscular Dystrophy Canada & the Muscular Dystrophy Association in the USA. So now I can accept the fact that my dream of becoming a race car driver never came true. It simply feels great to be have the support of some of North America's up and coming racers. 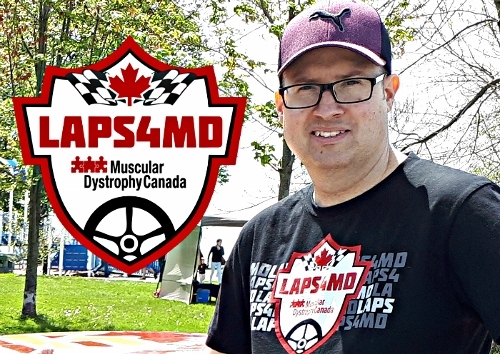 As you can see even though I was unable to pursue my dream I was able to come up with a new way to be involved in Motorsports through the founding of Laps for Muscular Dystrophy.